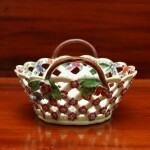 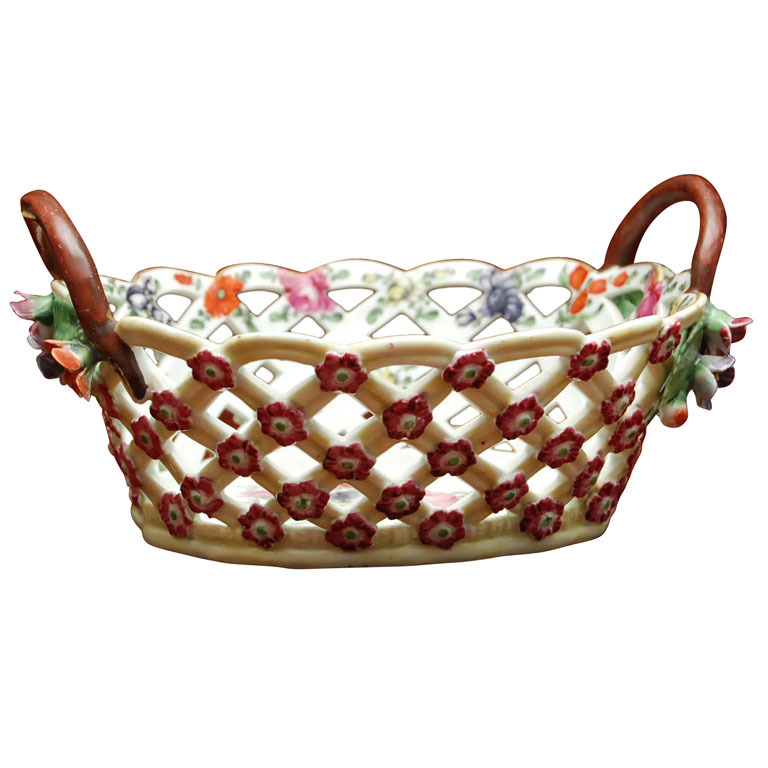 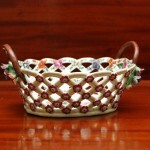 A smallish Worcester basket from the earlier years of production. 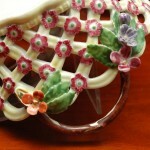 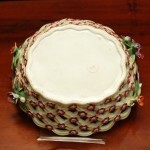 The pierced trellis pattern with applied flower heads, the inner surface with flowers on the rim and a floral spray center. 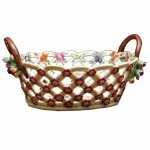 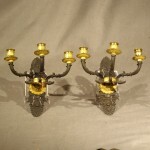 The handles are naturalistic bent branches with delicate full flower heads and leaves. 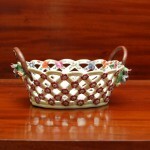 The exterior yellow color was first successfully developed by Worcester. 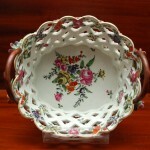 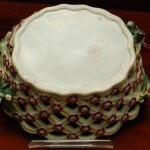 A nearly identical example is illustrated in Godden’s “British Porcelain, an Illustrated Guide” published in 1974 page 425.